The West should stick to its sanction policy towards Russia, following numerous ceasefire violations by Moscow-supported separatists in eastern Ukraine, according to several high-profile officials who spoke in Kyiv yesterday (2 March). Ukrainian officials are sticking to the narrative that the Minsk agreement is not working, although they do not propose replacing it. The agreement was negotiated in February 2015 by the leaders of Germany, France, Russia and Ukraine, to put an end to the bloodbath in eastern Ukraine (see background). 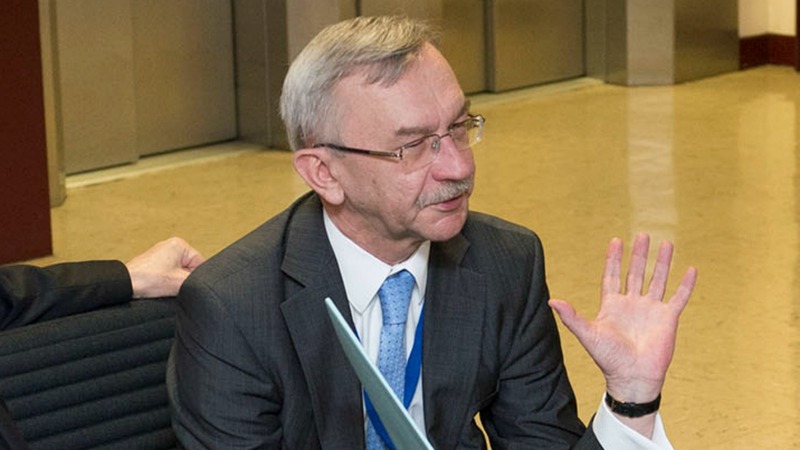 But not a single provision of the Minsk agreement is working, said Igor Dolgov, Ukraine’s Deputy Minister of Defense, an experienced senior diplomat. Dolgov, and other Ukrainian officials, conveyed the message that not only Ukraine, but the entire EU had been destabilised by Russia. Another message they conveyed was that the EU and NATO had much to learn from Ukraine, a country which has gathered more experience from hybrid warfare than any of its Western allies. The number of violations of the Minsk-brokered ceasefire is growing, Dolgov stressed, saying that human lives were being lost every day. He also mentioned other elements of the plan that didn’t work, such as the exchange of prisoners and de-mining activities, which are coupled, with repairs to basic services, such as the water supply, in Donetsk and Lugansk, which are controlled by pro-Russian separatists. The Minsk agreement requires the political decentralisation of Donetsk and Lugansk, and local elections. Last September, the Ukrainian parliament passed a decentralisation bill at a first reading, with some difficulty. Ukrainian President Petro Poroshenko today (1 September) called yesterday’s attack by extremist forces on Ukraine’s parliament, in which a police officer was killed and several people were seriously wounded, “a stab in the back”. Local elections are impossible without a ceasefire, Dolgov stressed, saying the 400 kilometre Russia-Ukraine border was open, making it possible to resupply separatist forces with arms, supplies, and Russian troop reinforcements. This allows Russia to take advantage of the political crisis in Ukraine by trying to organise “counter-Maidan” type protests in Kyiv, he claimed. Dolgov, like other Ukrainian officials, was remarkably open to questions. The overarching message, confirmed also by ordinary Ukrainians and independent analysts, was that in a very short time, Ukraine had built a military capacity able to face the challenge, and that Russia was probably not ready for such a response. When the war started, Ukraine had very few combat-ready troops, Dolgov said, adding that now “in the theatre”, Kyiv had more than 50,000 soldiers, and that more and more military personnel was being trained. Speaking fluently in English, the Ukrainian deputy defense minister said that the Russians took the entire chain of command of the separatists, “from the commander of corps down to the commander of vehicle”. “They have roughly 500 tanks, 750 armoured vehicles, more than 1,000 pieces of artillery. More than the army of some NATO member states”, Dolgov said. Dolgov argued that the conflict in eastern Ukraine was not only about Ukrainian security. “The security we built together for more than 20 years is now completely destroyed, because of the policy and the aggression of the Russian Federation. That’s why some NATO countries adopted new military doctrines. In particular, the security situation in the Black Sea has completely changed,” he said referring to Russia’s annexation of Crimea. 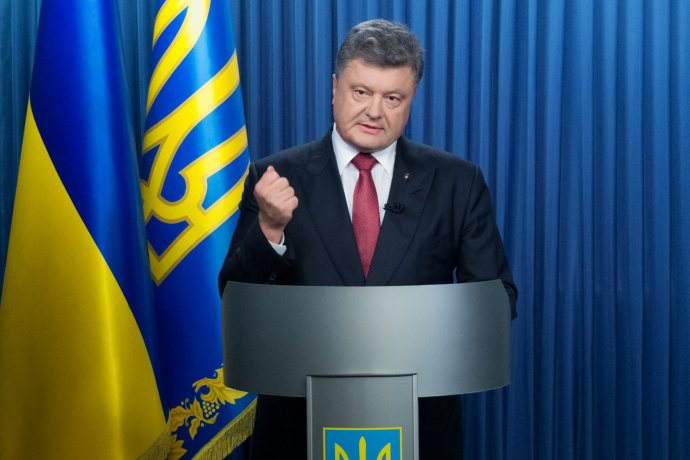 Asked about Ukraine’s plans to make up for its lost military fleet capacity, he gave a short answer: “We have no ambition to be self-sufficient in the Black Sea,” he said, implying Ukraine had no illusions about countering Russia in this area. Asked about the propaganda war waged by Russia, Dolgov hinted that Western societies should also be aware that they are also targeted by the Kremlin. “Try to (stop) psychological operations in your own capitals,” Dolgov said, adding that the Kremlin was using very sophisticated methods, like rumours, which he called “very effective”. Oleksandr Lytvinenko, Deputy Secretary of the National Security and Defense Council of Ukraine, also mentioned the worsening situation in eastern Ukraine. He argued that he could not imagine the EU lifting the sanctions without any visible major advancement in the implementation of the agreement. “We have between 50 and 90 shellings per day. Russia and pro-Russian separatists use machine guns, mortiers and sometimes even howitzers,” he said. Lytvinenko spoke of Ukraine’s experience in being the primary target of Russia’s hybrid war. He said Ukraine was gladly sharing this experience with its allies. He also expressed his conviction that Russian strikes in Syria were aimed at worsening the migrant crisis with which the EU is faced. “If you study the targets of Russian airstrikes [in Syria], more than 80% are infrastructure, not military bases, not troops, but infrastructure needed for everyday life. It means [this is] an attempt by Russia to fuel the migration crisis,” Lytvinenko said. He also spoke of “special ties” between the Russians and Islamist extremists in Syria, although he didn’t elaborate. Lytvinenko said that 10 to 15 million fake social media accounts were run by the Russia secret services. “Russian infiltration is a real problem and we work on this,” the Ukrainian official said. Asked if the recent legislation on lustration (removing from office civil servants who worked for the former regime works, Lytvinenko and Dolgov appeared to have different answers. While Lytvinenko showed optimism about the legislation, Dolgov warned that his country should be “more careful about lustration”. He gave as an example the case of Lech Walesa, the legendary Polish head of the Solidarity movement, who was recently exposed as an informer for the secret services of Communist Poland. Dolgov said that in his case, he had been appointed by former President Viktor Yanukovich. “What does it mean, does it mean that I’m a traitor? I don’t think so,” he said. “Purification is a powerful tool. But precisely because it’s powerful, the more you use it, the more damage you can inflict,” he said, adding that there was no single instrument to protect the state from people who could damage its security. “It’s not only in Ukraine. It’s everywhere. There are traitors. There are spies. There are tools old as mankind, as money,” he said, conveying the message that lustration was not the miracle cure for his country. Can the Minsk agreement fly? A Ukrainian official who asked not to be named conveyed the message that the Minsk agreement could not fly in the first place. He implied that the Russian diplomacy was clever enough to push through a text which cannot be implemented by Ukraine, given the deficiencies of its legislative machinery. But like the other speakers, he said the main issue was that the ceasefire is not being implemented. “When they shoot at you, it’s difficult to talk about legislation and constitutions,” he said. He also pointed out that Germany and France, who helped broker the Minsk agreement were “no saints” and slammed Germany’s Social Democrats for being “close to Russia”. The leaders of Germany, France, Russia and Ukraine (the so-called Normandy format) gave their support to a deal to end fighting in eastern Ukraine, following 17-hour long negotiations in the Belarussian capital Minsk on 12 February 2015. The four leaders committed to respecting Ukraine's sovereignty and territorial integrity, according to a joint declaration. Western leaders are closely observing the implementation of the Minsk agreement. On 2 March 2015, European leaders said that they agreed that the OSCE needed a broader role as observers of the ceasefire, and weapons removal. On 2 October 2015, the leaders of the Normandy format admitted that it would take time to organise elections in Ukraine that respect international standards and as a result, the so-called Minsk peace process would run into next year.